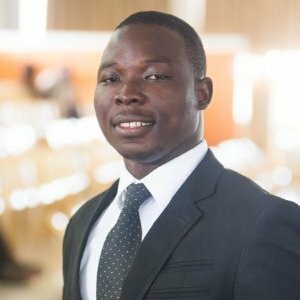 Schandorf Adu Bright is Farmerline’s Director of Farmer Services. As director, Schandorf manages a team of 8 and he is responsible for strategic planning, products development, projects management, leading training workshops for farmers and conducting user research. On behalf of Farmerline for the last 4 years, Schandorf has trained more than 5,000 small-scale farmers to adopt and benefit from Farmerline’s voice messaging technology. In 2016, with his rich experiences in rural financing, Schandorf led and facilitated the operations of Farmerline’s first loan project for 101 cocoa farmers in rural Ghana, which resulted in 90% recovery. Prior to joining Farmerline, Schandorf worked at Bank of Africa – Ghana. Schandorf holds BSc in Natural Resource Management from the Kwame Nkrumah University of Science and Technology. He is currently pursuing MPhil from the same university.